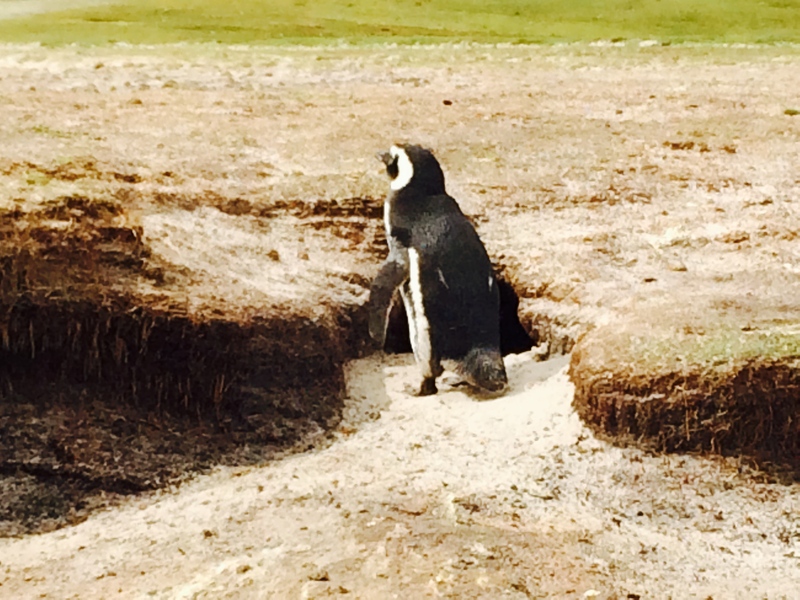 You can find out more about where penguins live here. If you, like me, have fallen in love with penguins then you can ask yourself what you can do to help them. Although penguins are threatened by fishing, oil spills, chemicals and their natural predators sea lions, orcas, sharks and fur seals, the No. 1 threat to penguins is destruction of their natural habitat through global climate change. Chinstrap penguins, for example, have declined 50 percent in the last 30 years. Fortunately, the ozone hole around Antarctica is shrinking, thanks to worldwide banning of CFCs, chloroflurocarbons, the primary cause of the ozone hole. However, CFCs have a 50-year half life, so our earth still has to process what has already been released into the atmosphere from our aerosols and refrigerant chemicals. Scientists don’t expect a full recovery until the year 2070. My garden is all-organic. I don’t use chemicals anywhere in the yard. What’s better for the butterflies, hummingbirds and song birds is also better for the penguins half a world away. I gave a talk last year at my local garden club about common yard chemicals that are known to cause breast cancer. When we really think about it, an environmentally healthy life is win, win win! Recycle everything I can. I am proud of my compost pile and the huge recycling bin in the front yard. Work from my home. I am one less person on the highway, which adds up to one less person causing everybody to sit in traffic, clogging the atmosphere with pollution. Eat organic whenever possible, which means I support other people who are doing what they can to keep chemicals out of the environment. When you see an actual colony of penguins, you can’t help but for your heart to go out to want to protect them. Don’t ask what the penguins can do for you – ask what you can do for the penguins!